JACK CANFIELD: A Master Trainer's Secrets Revealed – Discover how to have a life-changing impact on the people around you – while creating phenomenal success in your OWN life and career. 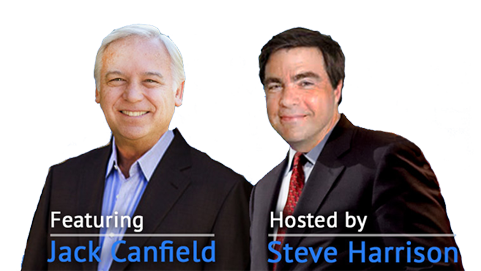 The legendary Jack Canfield pulls back the curtain to reveal the top strategies he’s used to make a profound positive impact on millions of lives – and create a multimillion-dollar training business in the process. Sign up to watch this exclusive interview with America’s #1 Success Trainer and learn his 10 most powerful strategies on how to have a more profound impact on people –while creating phenomenal success in your OWN life and career in the process! 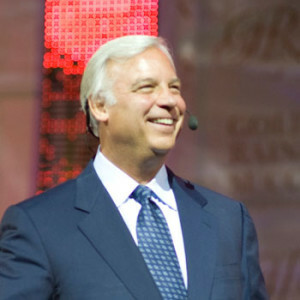 Jack Canfield is an award-winning speaker and one of the most respected human potential trainers in the world today. In addition to being the creator of the billion-dollar Chicken Soup for the Soul brand and author of the New York Times bestseller, The Success Principles, Jack Canfield has devoted his life to helping others reach their full potential. Over the past 40 years, Jack has worked as a professional trainer, speaker and consultant for more than 350 companies and organizations, including: AT&T, Federal Express, General Electric, Honda, Johnson & Johnson, Merrill Lynch, Microsoft, and the National Association of Realtors. He’s also worked with more than 80 universities – including UCLA, Purdue, Stanford, the University of Chicago, and the University of Massachusetts – as well as 150 school districts and 35 governmental agencies, including the US Navy. Jack has personally trained 1,000s of students in his own Canfield Training methodology, which teaches speakers, trainers, coaches, and leaders how to become a transformational trainer and have a life-changing impact on the people they work with. If you’re interested in learning how to changes people’s lives for the better, Jack is definitely someone you should have on your radar.